Ronnie came at the World Championship 2013, as defending champion, having played just one competitive match all season, a best of 7 that he had lost. Actually, he had decided to retire from professional snooker early November 2012, after finding himself unable to make the trip to China for the International Championship. This decision was motivated by private circumstances and issues. However he soon realised that snooker was part of his life and that he was missing it, not so much the competition itself, but the people, the atmosphere and everything around it. He also realised that he needed to work for a living and get structure in his life. So right before the World Championship entries deadline, he announced his return to competitive snooker. 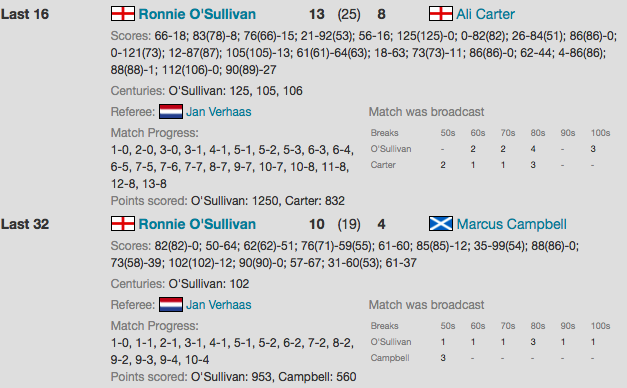 Nobody was giving him much chances and indeed he looked rusty during his first round match against Marcus Campbell. But, this is the beauty of long matches, he built his form up as it went and by the time he reached the final was in blistering form. 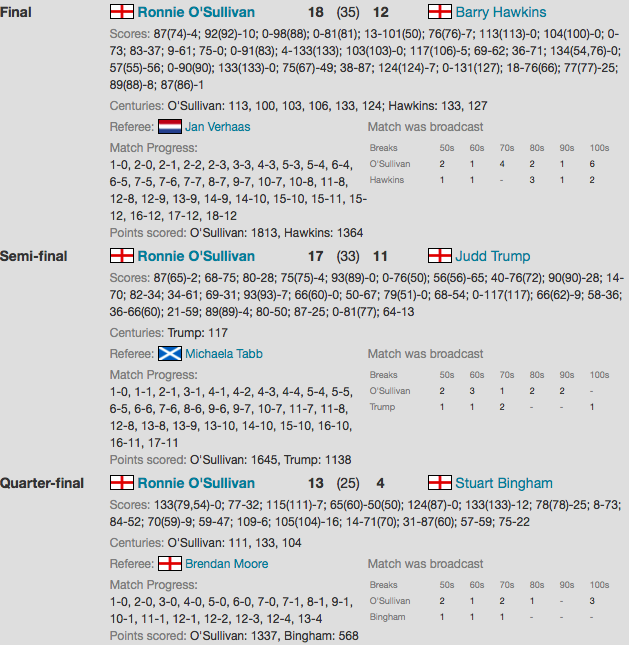 It was a very high quality final, during which Ronnie set a new record by making 6 centuries during the match. But a high quality match involves two players and an excellent Barry Hawkins certainly played his part.